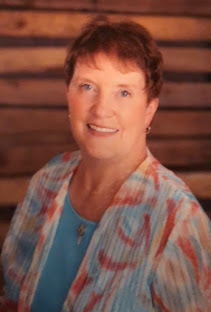 Christy Award finalist and winner of both the ACFW Carol Award and HOLT Medallion, CBA bestselling author Karen Witemeyer writes Christian historical romance for Bethany House, believing the world needs more happily-ever-afters. She is an avid cross-stitcher and makes her home in Abilene, TX with her husband and three children. You can learn more about Karen and her books at www.karenwitemeyer.com. Charlotte Atherton, former headmistress of Sullivan's Academy for Exceptional Youths, will do anything to keep her charges safe, especially the little girl entrusted to her care after her mother's death. Charlotte promised Lily's mother she'd keep the girl away from her unscrupulous grandfather, and nothing will stop Charlotte from fulfilling that pledge. Not even the handsome bounty hunter with surprisingly honest eyes who comes looking for them. When the teacher he's after produces documentation that shows she's the little girl's legal guardian, Stone must reevaluate everything he's been led to believe. Is Miss Atherton villain or victim? She acts more like a loving mother than an abductress, and the children in her care clearly adore her. Then a new danger threatens, and Charlotte is forced to trust the man sent to destroy her. Stone becomes determined to protect what he once sought to tear apart. Besides, he's ready to start a new pursuit: winning Charlotte's heart. I can still remember my first Karen Witemeyer story. . .have followed the releases with anticipation. Have yet to be disappointed - except when she made Neill's story a novella instead of a full length novel as she had his brothers following Short Straw Bride ~ I am still anticipating the next Karen Witemeyer book. . .A Worthy Pursuit did NOT disappoint, continued to whet my appetite for more of these deliciously intriguing books - with just the right amount of historical fact, humor, romance, and absolutely GREAT writing, I'll be watching for the next one! Thank you, Karen for being on my blog this week. Your book is so well worth the promotion! Thank you for stopping by Cynthia. Will see that you're entered into the drawing. It's a great read. . .as you're familiar with her books. . .you KNOW she's capable of some really good stuff. . .this does NOT disappoint. Drawing will be Friday evening. This sounds super. I would love to win a copy. I've got you in the drawing for Friday, Janet. It is a SUPER book and you won't be disappointed should you win the copy. I've got your name in there. It IS a great story. Thanks for stopping by Journeys To Joy! I'm in total agreement, Dawn Turner. "Boy, that was a good book." moments. thanks for stopping by when I know you're a very busy and prolific writer yourself! I love Karen's books, and I love the cover of this one! 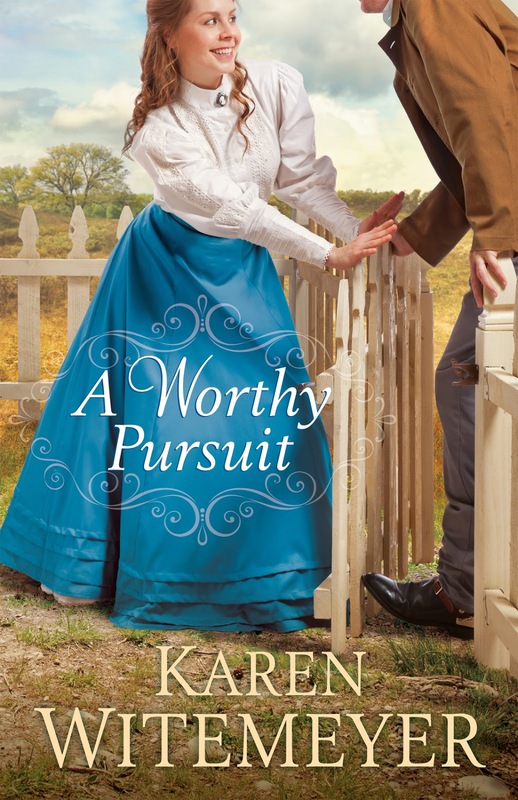 Thank you for the opportunity to win a copy of "A Worthy Pursuit", it sounds just as good as the others I've read by Karen. Thanks for stopping by - you made it in time to enter the drawing. Will be seeing who won in just over one hour. Gonna need your email addy, Janet - want to congrat-YOU-late you and get your snail mail addy so I can get the book shipped out to you. I have read several of her books and loved them all! She is still one of my very fave authors! I appreciate you visiting my blog!